First Presbyterian Church of Dallas’ eager history and travel buffs patiently waited over the last several months for our trip to Scotland. We initially met as a whole group in April to discuss travel tips. We then met again later in April for an educational Whiskey Tasting Party hosted by Alex and Matt Soucek. We were all now ready to learn distillery practices - of course, but more importantly, what lead up to the Protestant Reformation, 500 Year Anniversary in 2017, and what this meant to Scotland and Presbyterians. Doune Castle, a popular filming location featured in Monty Python and the Holy Grail, Game of Thrones, and Outlander series. We left Edinburgh and coached to St. Andrews (famous today for “the home of Golf”), St. Andrews Castle (where Knox and other reformers were imprisoned), St. Andrews Cathedral, historic Burgh (ruins of the 12th century and once the largest cathedral in Scotland), and St. John’s Kirk of Perth where John Knox preached. 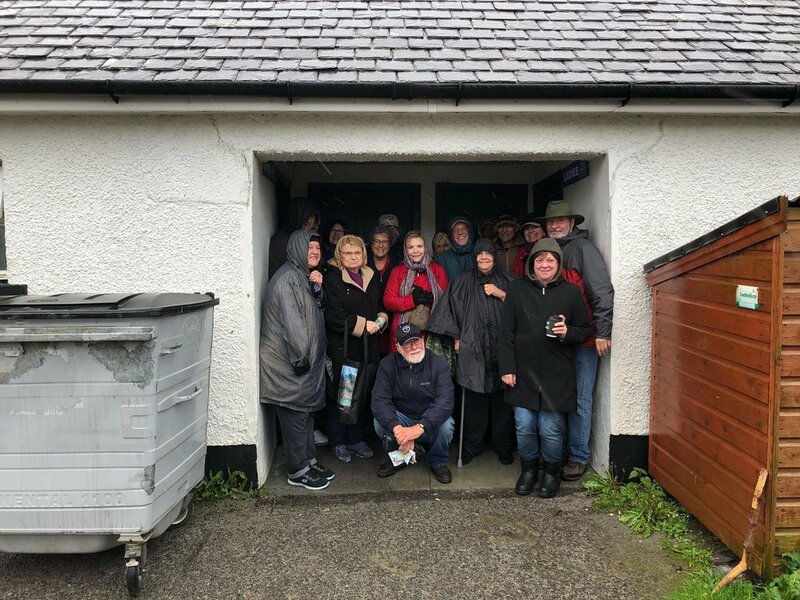 We had a one night stay in Pitlochery and then we were off to see the battlegrounds of the Battle of Culloden to hear the stories of the Jacobite uprisings. This day was also the royal wedding of Harry and Meghan, where a few of us had purchased special fasteners and a hat for the occasion and a special viewing. We all then coached to the Clava Cairns—prehistoric burial site—and toured The Singleton of Glen Ord Range Distillery, north of Inverness. We had a brief one night stay in Inverness before we were off to the Isle of Mull. We travelled through the Glen Mor and Glen Alhyn area, while coaching down the Loch Ness, home of “Nessie,” the Loch Ness Monster. We made our ferry across to the Isle of Mull for a two night stay. 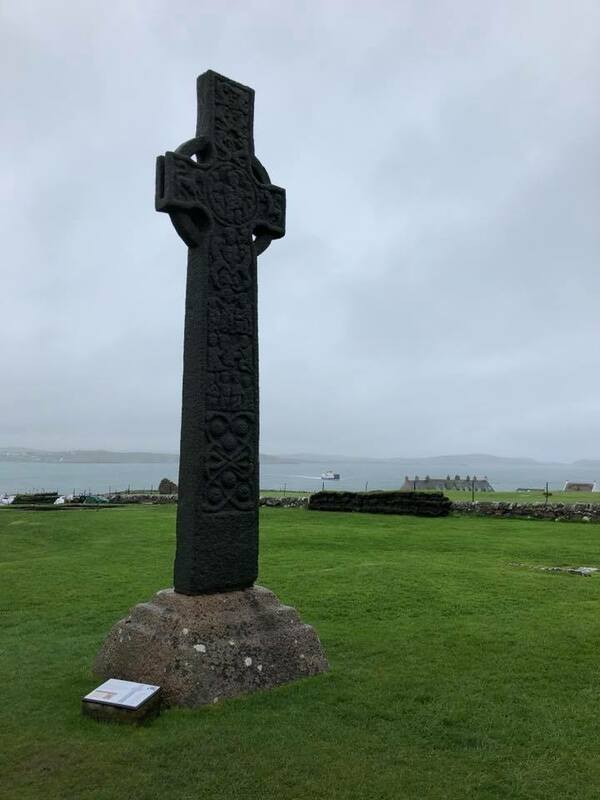 The next day we ferried to the Isle of Iona to hear the story of Columba and the monastery he founded 1,500 years ago. Our day at Iona was cut short due to the island loosing electricity - plus it was cold, windy, and rainy!!! 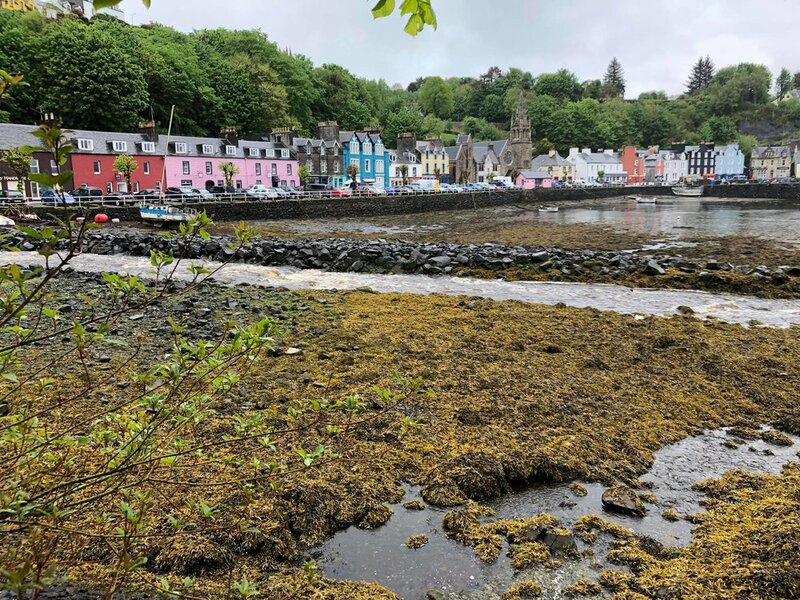 The next morning, we ferried back to the mainland to coach the coast of North Argyll and west to Gelncoe, one of the most majestic and rugged scenery in Scotland, and visited Loch Lomond en route to Glasgow for our final night and dinner together. 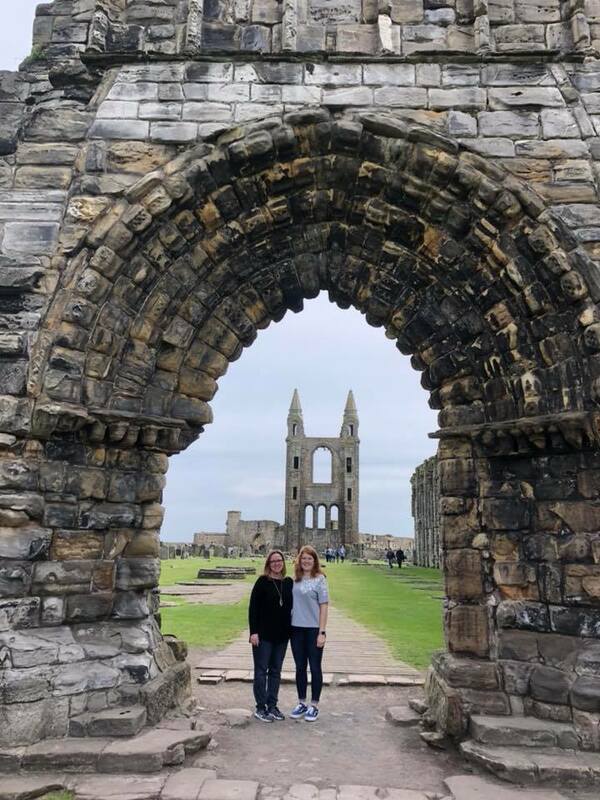 This trip taught us a great deal about Scotland history, Catholic and Scottish Cathedrals - YES, battles over land and religion which led up to the Protestant Reformation, period of 1517-1648. 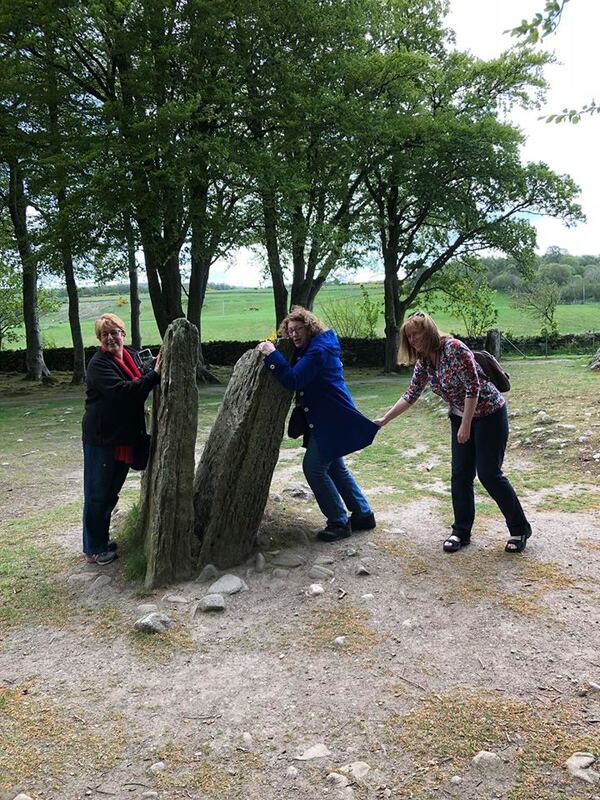 We walked in the footsteps of John Knox and learned about the Scottish clans, castles, Jacobite uprisings, and monarchs of Scotland and England. Thanks to FPC Dallas for organizing this great Scotland trip, Camilla Ballard for putting up with all of us, Alpha Christian Tours for booking great places to stay, a great tour guide, Pauline, and most of all a HUGE THANKS to everyone in the group that completed our travel experiences with a fun, laughter-filled, memorable, and caring adventure. Photos from various people in the group.